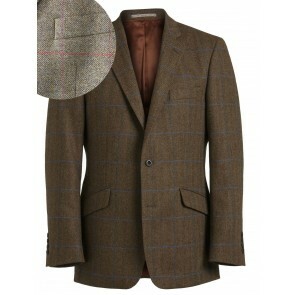 For over a century Magee tweed jackets have been woven at their own mill in Ireland, drawing inspiration from the wild landscape around Donegal, producing distinctive and beautifully woven tweed fabrics. A family run business established in 1866, Magee tweeds are still woven in their own mill in Donegal to this day. Combining their long heritage in the industry with contemporary styling, the Magee tweed jacket is second to none, comfortable and functional with a timeless silhouette. Browse the collection, from casual weekend pieces, moleskin waistcoats and cord trousers, to the stunning Magee tweed jackets collection in a choice of authentic tweeds.